Varna city on the Black sea in Bulgaria. Book all Varna Hotels online. Location: Varna is the third largest city in Bulgaria. It is situated 470 km north east of Sofia. The city amphitheatrically follows the curves of the Varna bay in the region of the Beloslav Lake, west of the town and the Varna Lake. The city offers bus connections to the Northern Black Sea Coast resort, including Golden Sands, Balchik, Kavarna and many others. History: The city has a thousand year old history. The region was settled even during prehistoric times and the archeological remains testify of a developed civilization from the Eneolithic period. The oldest cultivated gold in Europe was found in the city, known as the “Varna Gold Treasure”. According to specialists its history dates back from 5000 years. Later on ancient Thracian villages emerge in the region. In the 6th century before Christ, Greek colonizers from Millet build the tow of Odessos. The town soon becomes a huge trade centre, despite of the fact that it was first settled by fishermen and farmers. The Thracian lifestyle and culture combined with the Hellenic traditions, brought by the Millet colonizers transform the town into an important cultural and trade centre. In the 28th year before Christ Odesos was conquered by the Romans, and they provide administrative independence of the town and free trade. 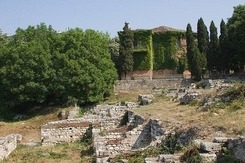 Gymnasium, theater, numerous temples, draining system and roads that lead to the town were constructed in the town. During the great migration of the nations the town was burned down by the Avars and long after that stays in ruins. During the medieval period Bulgaria and Byzantium change its possessions, when in 1202 King Kaloyan conquers the town and causes a strong hit. Varna rises again under the rule of Ivan Asen II. He made trade contacts with Venice and Genoa. In 1393 Varna falls under the ottoman rule. In 1444 the crusades were broken down lead by the Polish Hungarian king- Vladislav III Yagelo in an attempt to stop the ottoman invasion to the heart of Europe. After his death he was named Vladislav Varnenchik as a sign of honour. The once thriving town was long after that transformed into oriental settlement. During the renaissance Varna forms as an important trade centre, however the Turkish garrison situated in the town does not allow the development of revolutionary activities. There are several hypotheses for the origin of the name of the town. It is considered that Odessos means “military town”. After the 6th century the name Varna is included in the chronicles. Explorers discover the Indo-European origin for towns build near by water conducts. Sightseeing: There is no wonder that Varna is announced to be the sea capital of Bulgaria. Its thousand years old history and the archeological remains of different epochs and civilizations, make the town very interesting. Its strategic location on the sea coast is additional advantage for the town. Some of the most prestigious Black sea resorts are situated nearby the city- “Albena”, “Golden Sands”, “St. Constantine and Helena”. Thousands of tourists are attracted by the wide beaches in the city and its vicinity and transform it into a live city with active cultural and dynamic night life. 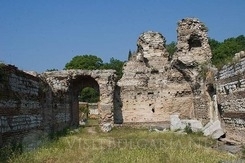 The Roman thermals build during the second century and the Roman bath from the 3rd century are the most preserved architectural sightseeing from antiquity. 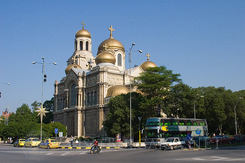 Symbols of the city are the cathedral church “Holy Mother”, build in 1886 and the sea garden. The summer theatre, a meeting centres for many cultural events, the first in the country astronomic complex with observatory, planetarium and a tower, the Military Navy museum, amphitheatre and other. Among the contemporary buildings and complexes are the Festival complex and the Sport Palace. 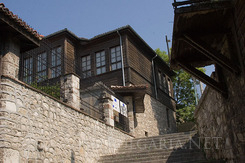 The history, culture and lifestyle of Varna are presented in the numerous museums in the city. 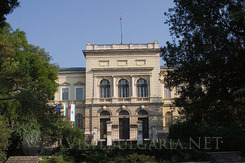 Tourists can visit the Naval and Archeological museums, the museum of the National Revival, the park museum “Vladislav Varnenchik”, the Ethnographic museum, the Natural science museum, the Aquarium and the museum of the Black Sea, the museum of History and Art and the only one on the Balkans - Museum of Medicine. One of the biggest attractions is the Varna Dolphinarium, where the smart sea mammals entertain the guests and residents of Varna. Varna is a constant host of folklore, film and theatre festivals. The town is always live. The restaurants and mehanas in the city, which offer delicious meals, are countless, and the night clubs leave unforgettable memories. Tourists can choose from a wide range of luxurious and cosy hotels which offer lux and comfort. Please contact us for more information and reservations.